Most of us are familiar with Valentine’s Day that occurs yearly on February 14th. Every year after the hustle and bustle of holiday festivities, shops rapidly launch into displaying red tin foiled chocolate hearts and mugs with bold letterings of “I love you” or other phrases for expression one’s love and fondness for another. In the West, gifts and cards are exchanged on Valentines day between both genders, however, this is not the case in Japan. In Japan, Valentine’s Day is focused solely on men. Gifts are given to boys and men by girls and women on this day to express their love, friendship or as an act of courtesy. Gifts can be store bought or hand-made. Unlike in the West, Valentine’s Day gift can be given to friends and can be a celebration of platonic as much as romantic relationships. White Day is celebrated on March 14th, a month following Valentine’s Day. On this day, men and boys return gifts to the women and girls who had gifted them on Valentine’s Day. In general, there is an unspoken custom to “triple the return”, meaning that gifts should be returned at twice or three times the cost of the Valentine’s gift. In current day Japan, it is not uncommon for men and boys to spend hundreds of dollars to return gifts to their crushes or loved ones by “answering” their gifts with branded handbags and expensive cosmetics that are multiple times the cost of the gifts they have received. First celebrated in 1978, White Day was established by the National Confectionery Industry Association in Japan as a way to way to “answer” Valentine’s Day. Prior to the establishment of White Day, in 1977, marshmallows were marketed by a confectionery company in Fukuoka to men on March 14th and called the day “Marshmallow Day”. Subsequently, white chocolate was marketed and the day was named White Day, at first as a way to market confectioneries, but later the day became accepted and widely celebrated. For cynics, it is easy to dismiss White Day as yet another commercial holiday to line merchants’ pockets, but in reality White Day is widely celebrated and gives meaning and context to the gift giving on Valentine’s Day, which is focused solely on men and brings some equality and provides the opportunity for an exchange of affection. Today, other than the historical marshmallow, white and dark chocolate are popular gifts, as well as jewelries, and white clothing articles. Sometimes even lingerie is given to the girls and women who had given gifts during Valentine’s Day. 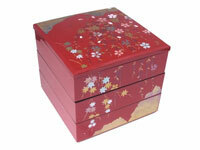 In Japan, during Valentine’s Day, the most popular gift is chocolate. 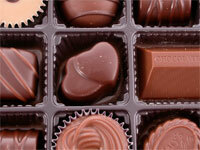 Over 75% of women choose to celebrate the holiday by gifting chocolate to loved ones, crushes, co-workers and friends. Gifts given during White Day are more varied than the well-loved choice of chocolate on Valentine’s Day. Currently in Japan, the top five White Day gifts are: necklace, ring, handkerchief, flowers and stuffed animals. Edible gifts include cookies, chocolate, and marshmallows. Gifts are typically wrapped in white gift wraps and boxes. Unlike the red and pink touted during Valentine’s Day in the West, which suggests romantic passion, white was chosen to signify purity and innocent love. In Japanese culture, the color white is deeply associated with Shintoism and the concept of purity. Pilgrims in Japan are dressed in white during purification rituals. 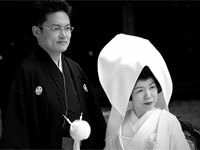 White is also the color of traditional wedding kimonos in Japan that signifies purity and maidenhood. While many men and women in Japan present gifts to loved ones on both Valentine’s Day and White Day as a sign of their love and affection, there are also many gifts given out of social convention, politeness or obligations. While it may be hard for those in the West to understand why gift giving on White Day or Valentines Day should have an obligational aspect, Japanese society has a strong emphasis on social convention and politeness, and often times individual passions and desires are seen as being of lesser importance than social norms guiding accepted etiquette and behaviors. Telling of this multi-aspect of Valentine’s and White Day, chocolate gifts are divided into three categories: giri choco (obligatory chocolate), honmei choco (chocolate for the man or woman that one is serious about), and tomo choco (chocolate for friends). Typically, giri choco (obligatory chocolate) are presented to family members and people one is obligated to honor such as one’s bosses or higher ups. For giri choco, they are usually of moderate to higher price ranges (typically several hundred yen in Japan). Honmei choco are the most expensive and fancy. Giving someone fancy handmade chocolate signifies more serious relationships and may send the wrong signal if given to an ordinary co-worker. Tomo choco are often the most reasonably priced and are typically gifts of chocolate or other treats that one would personally enjoy. White Day is celebrated in Japan, South Korea and Taiwan. Although less well known in the West, White Day is a wonderful way to surprise someone you love with a gift a month after Valentine’s Day or to return a gift or to show your affection for a loved one. As an interesting last note, if you are wondering what follows after White Day. There is an informal tradition in South Korea to celebrate Black Day on April 14th. Black day is a month after White Day. On this day, singles who received no gifts on Valentine’s Day and White Day get together to drown their sorrows with jajangmyeon (black bean sauce noodles).